Why Do You Need to Update Your Restaurant POS System? With such a huge number of transaction in a single day, your food business will get left behind in the event that you are utilizing an obsolete or unreliable point of sale system. An obsolete POS system does not give you anymore with what you need and it is an ideal opportunity to scrap it and get another one that incorporates a good blend of hardware and software. If you also feel like your restaurant POS system is obsolete, here are a couple of signs assuring that you need to replace your current system, particularly when the technology landscape in the hospitality industry is developing fast. Expensive to Maintain: Maintenance of technology is a significant requirement, however doing that for an outdated system is a cumbersome task, wasting your time and money. Your guests in the queue waiting for their turn and suddenly, your system crashes; and this happens repeatedly. In this way, it gets costly to maintain with frequently encountered bugs, hardware defects or technical faults; therefore adding up your cost. Requires Too Much Hardware: A POS with the latest technology will require minimal hardware resources. However, if you are using one system to deal with your reservations and a different one to maintain stock and inventory; or a totally separate PC to deal with cashiering, then its time for you to change your restaurant management software. Guest Waiting Time is Longer: Usually, technology makes our work faster and easier. However, if that is the other way round with your POS system at your restaurant, and your visitors have been waiting for a longer time than usual because of the technology you are utilizing; its a sign that you are utilizing an obsolete POS. No Clear Idea on Sales Data: A perfect restaurant POS system lets you clearly manage your sales information with strong and reliable stats on daily income. Simply said, if you are not getting any of these in your restaurant POS, it is an unmistakable sign that you have to replace your current POS. Inactive Support: In many cases, you get stuck at a task or the system stops working. And, with a considerable measure of expectations, you call up your POS system vendor just to locate a dead end. Inactive and delayed support is one of the few factors pointing towards an obsolete POS. Does Not Match With Your Performance: You cannot synchronize your POS system with your restaurant's performance. In a nutshell, the system does not give any real-time information on your income, sales, and even expenses to enable you to get a thought on your ROI. Limited Integrations: You need to integrate with a guest feedback system or a payment gateway, however, you get yourself helpless because your POS is not equipped for holding that integration. There are other lot many factors which can help you to decide if you are utilizing an obsolete restaurant management system or not. However, if 'yes' is the response to at least half of the above-mentioned aspects, at that point you have to think about changing your POS system. 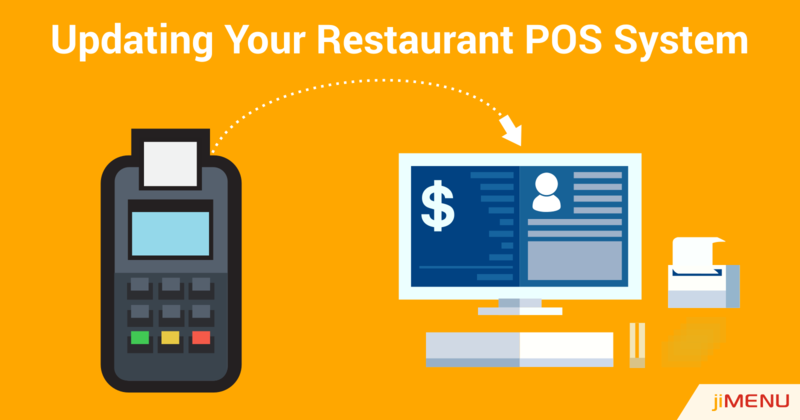 What should you look for in a restaurant POS system? Above outlined are the modules a restaurant management system should include. jiMenu POS has all these features you need for your restaurant right of the box. Contact us for a free demo and take your business to another level.